The Salvation Army Harbor Light is a big, non-profit organization available on a few different locations around the United States. For over 100 years, the Salvation Army Harbor Light rehabilitation centers have worked hard to fight alcohol and drug dependency and help patients recover and get back to their normal lives once again. 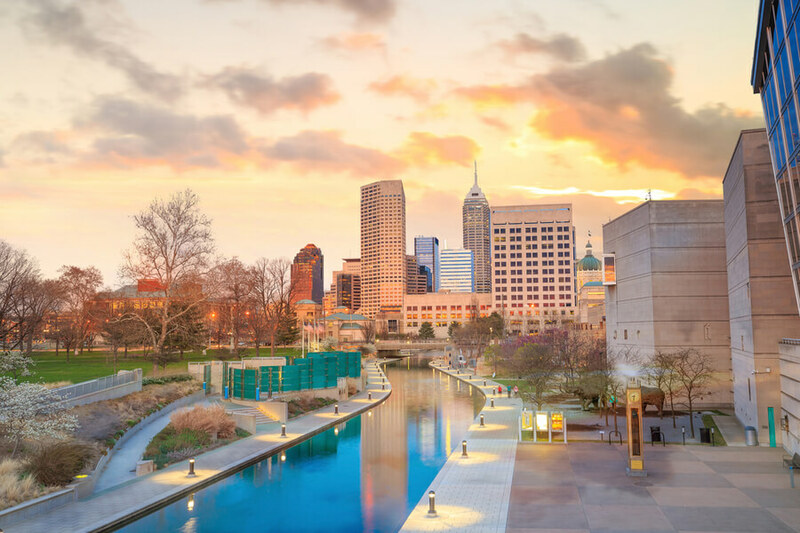 One of the Salvation Army Harbor Light rehabilitation centers is located in Indianapolis, Indiana which is offering free of cost, quality treatment to any patients, men, and women, of any age group. The Salvation Army Harbor Light offers short-term inpatient treatment programs and a traditional outpatient treatment program to soothe the needs of its patients. Like most rehabilitation centers, the Salvation Army Harbor Light rehabilitation center also follows the 12-step recovery process, including evidence-based practices such as CBT and DBT in its treatment programs. Detoxification is available on-site, and it is mandatory that all patients complete it successfully in order to proceed towards their treatment plan. Dual diagnosis is no available, nor is the treatment for co-occurring mental health issues. Patients who seek that kind of medical care are referred to the nearest medical center that offers services of that kind. That is why no psychologists or psychiatrists are to be found as a part of the team at the Salvation Army Harbor Light. The most amazing part about getting treated at the Salvation Army Harbor Light is the fact that patients are not required to pay anything at all! The main Salvation Army Harbor Light facility in Indianapolis, Indiana is a 36-bed rehabilitation center. The Salvation Army Harbor Light is a gender-specific facility that accommodates men and women in separate bedrooms. This rehabilitation center accommodates its patients in shared bedrooms, according to gender. In each room, twin beds, dressers, desks, and chairs are to be found as well as a shared bathroom. Two patients are accommodated in one room. Apart from the bedrooms, their on-site laundries, common rooms with TVs and computers, and the main dining cafeteria. There is a professional kitchen staff responsible for preparing three meals a day, each day, respecting the dietary requirements of the patients at all times. Snacks are available as well. Inpatient treatment program – The inpatient treatment program, also known as the residential treatment program, requires patients to live, eat, sleep, and stay on the grounds of the facility if they want to participate in the program. The inpatient treatment program includes individual, and group therapy sessions, AA/NA meetings, evidence-based practices, with CBT and DBT included. Relapse prevention is included in the inpatient treatment program as well as a way to teach patients how to protect themselves from any possible future relapse. The inpatient treatment program at the Salvation Army Harbor Light is only short-term, lasting around two weeks. Outpatient treatment program – As for the outpatient treatment program, the patients live at home and visit the facility only to take part in their scheduled individual and group therapy sessions, as well as, any other therapy methods available at the Salvation Army Harbor Light rehabilitation center according to the needs of the patients. The outpatient treatment program lasts longer than two weeks, and its duration is to be determined individually for each patient. What makes the Salvation Army Harbor Light rehabilitation center different from most is the fact that their services are completely free of cost to all patients. No insurance plans or payment options are to be looked at and arraigned upon the arrival at the facility. For more information on the topic, please contact the staff via email or phone. According to the official website of the Salvation Army Harbor Light rehabilitation center, the facility, and its professional team enjoys the accreditation by the CARF (The Commission on Accreditation of Rehabilitation Facilities), which is a non-profit organization responsible for maintaining only high-quality care and services at the accredited rehabilitation centers. For more information on the topic, please contact the staff via email or phone. According to the official website of the Salvation Army Harbor Light, this popular rehabilitation center offers a great aftercare program and a sober living program to any patient that has successfully completed their treatment program at the Salvation Army Harbor Light rehabilitation center. The aftercare program includes regular AA/NA meetings. Individual therapy sessions are to be arraigned as a part of the aftercare program as well, according to the needs of the patients. The professional team at the Salvation Army Harbor Light rehabilitation center includes a couple of LPCs (Licensed Professional Counselors), CADCs (Certified Alcohol and Drug Counselors), LCSWs (Licensed Clinical Social Workers), case managers, LMFTs (Licensed Marriage and Family Therapists), and LADCs (Licensed Alcohol and Drug Counselors). For more information on the topic, please contact the staff via email or phone.